September is in full swing and that means it’s time to celebrate all things Honey; AKA National Honey Month. I’m not allergic to bees so I don’t have much of a problem with them. To me, they are a sign of summer, especially those of the Honey and Bumble varieties. In fact, the only time I recall bees creating any trauma for anyone in my family was the time my mother took her bathing suit off the clothesline and put it on, not realizing there was a bee inside it. Thank goodness we didn’t really have any neighbors because she did a quick strip in the yard. That was traumatizing for me. It probably wasn’t that great for the bee either. The Swarm chronicles an attack on a Texas military base, then the migration of the bees through a small town and into Houston. Apparently killer bees hate Texas. As the attacks escalate, an entomologist, Dr. Crane (Michael Cain), assists the military to find not only an anti-venom, but also a way to stop the bees for good. 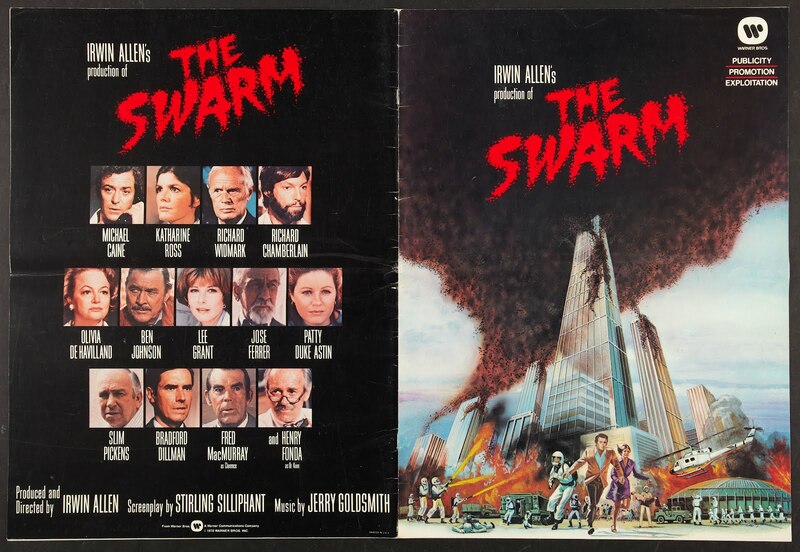 In the vein of such epic disaster films as The Towering Inferno, The Poseidon Adventure, and When Time Ran Out…, The Swarm touts a cache of famous actors, all in mostly insignificant roles, trying to save themselves from certain doom. And let me be clear. When I say there are a lot of famous people in this film, I mean literally every speaking role is someone with film cred; Henry Fonda, Olivia de Havilland, Richard Chamberlain, Slim Pickins, Katherine Ross, Richard Widmark, Lee Grant, Patty Duke, and the list goes on. Unfortunately, not even a hot, bearded Richard Chamberlain nor Michael Caine's 1930s finger waves can save this disaster of a film. 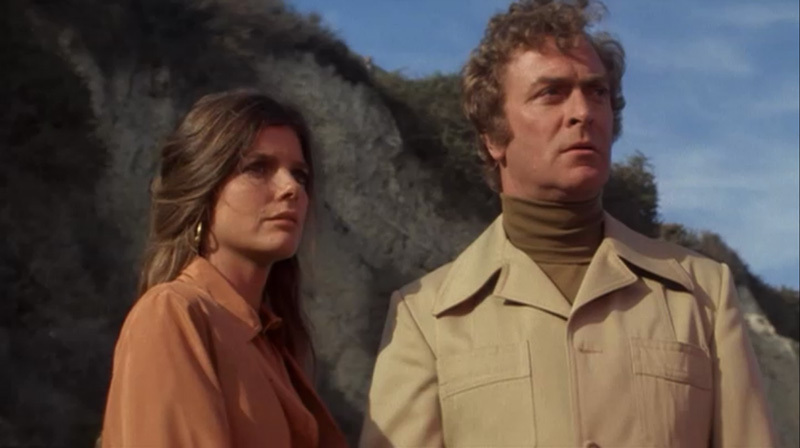 Did I mention it was directed by Irwin Allen? For a movie about killer bees, a movie that runs 156 minutes, there are very few scenes with bees. What you have is about 140 minutes of people standing around, looking puzzled and/or constipated, in rooms with flashing lights, sonars, and monitors, being overly dramatic, and talking about bees. During the 15 minutes of actual bee action, there is a seriously high body count. The swarm makes short work of a couple of military helicopters, during which my favorite line of the film is uttered by a pilot, “Oh my God! Bees! Bees! Millions of bees! !” There is also a pretty spectacular takedown of an entire train. As the residents of Marysville evacuate the impending invasion, the bees attack the train, causing a total derailment. There are several minor storylines, which go nowhere, such as a senior citizen love triangle, a pregnant waitress who loses her husband to the bees and then falls in love with her doctor, and a boy who survives an attack on his picnicking family. The one with the boy is my favorite because after waking up in the hospital, he begins to hallucinate. He sees human-sized bees coming after him and decides to seek revenge with a Molotov cocktail. It’s an ill-conceived plan, to say the least. 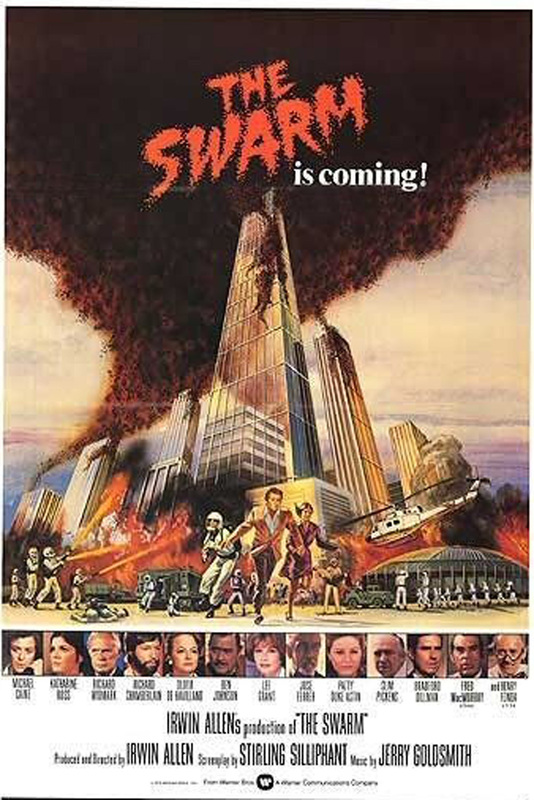 The climax of the film takes place as the bees invade Houston, where hundreds of soldiers, looking like dime store Stormtroopers and X-Wing fighters (this will make sense if you see it), try to kill the bees with flame throwers, but only succeed in setting Houston and themselves on fire. Considering everything that’s wrong with this film, there are a few things that were done well. The score was written by Academy Award winner, Jerry Goldsmith and it’s not only superb, it’s used as part of the special effects. Speaking of which, this is a film that was done way before we had CGI so real bees, an estimated 800,000, were used. This is also a film that doesn’t just subject the adults to horrific deaths. Children are prime targets and there is a particularly brutal schoolyard massacre. With a ridiculous script and soap opera style acting, The Swarm would be hysterical if it didn’t take itself so seriously. There is an edited version of the film, which is approximately 40 minutes shorter. Although I’m not entirely sure what’s been taken out, I’m positive I won’t invest any more time on this particular disaster to find out.